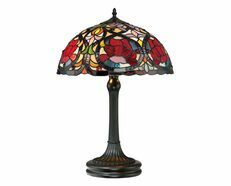 The lamp is a colourful Tiffany style lamp that combines many pieces of art glass to create a stunning and complex design. 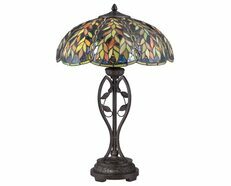 This beautiful table lamp features a handcrafted, genuine chandell design on stained art glass shade combined with a resin base, carved in a traditional design with a brown neutral colour to juxtapose the lively art glass shade for maximum impact. 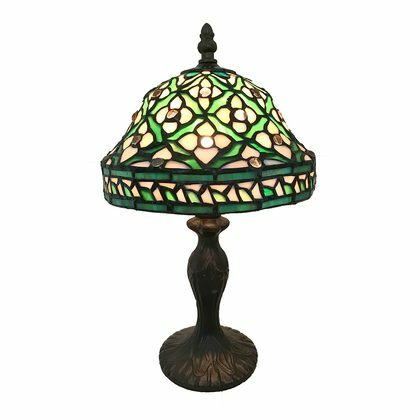 The lovely table lamp on its stunning glass shade will brighten up and inspire your space with natural elements. 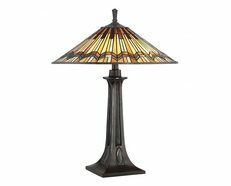 The colours and individual art glass of the Tiffany table lamp will not just illuminate but decorate any space in your home. 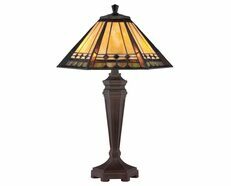 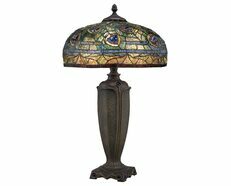 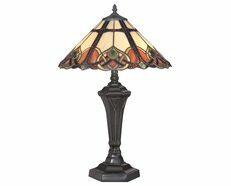 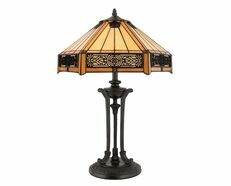 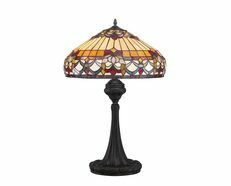 This Tiffany style lamp will suit any space including a home office, a family room, or any living and entertaining space.